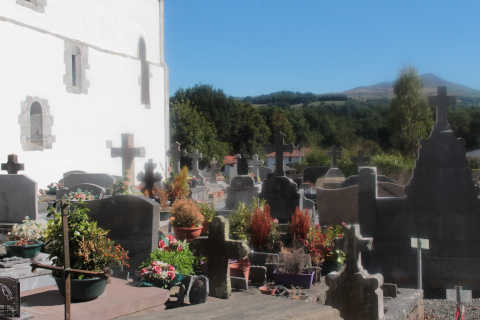 Itxassou is a sleepy village in the typical Basque style, in the Pyreneean foothills close to Cambo-les-Bains and about 25 kilometres east of Saint-Jean-de-Luz, in south-west France. France This Way comment: athough Itxassou is small, it is important to realise that it is also very spread out and the church, the most important and interesting monument in the village, is more than a kilometre through the countryside from the 'village centre', so exploring can take longer than expected. 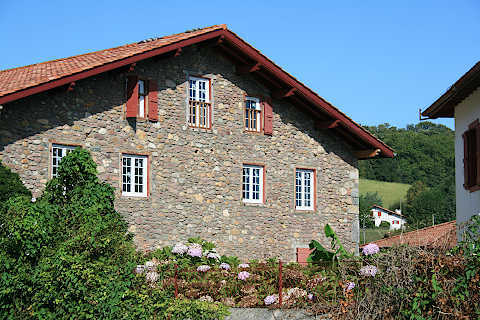 To start your visit to Itxassou just wander down the main street and enjoy the sight of the lovely Basque houses set against the backdrop of the surrounding hills. 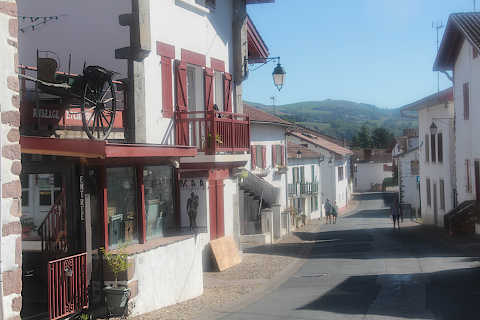 Although small, Itxassou is an attractive village with many of the houses painted white and the exterior exposed timbers and shutters painted red or green: if you have explored the Basque region you will be very familiar with this local style which can be seen in most of the local towns and villages. 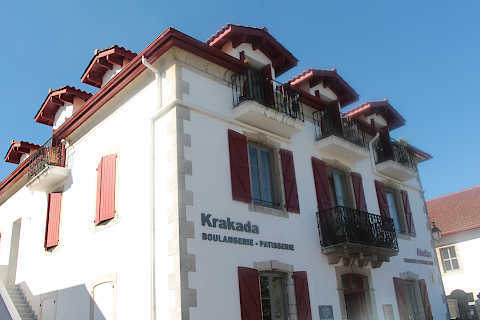 There is not a great deal to see but the centre is pleasant and you will also find a tourist information centre and exhibition where you can learn more about the village and its history: this is situated in Ateka, a grand villa in the centre of Itxassou. In the Itxassou information centre there are details of various walks in the region, one of which is a four kilometre walk that explores the village and countryside and takes about 1.5 hours to complete: this is the ideal way to explore because it includes the area around the church as well as the village centre. 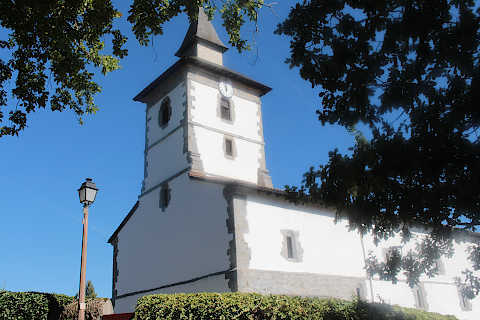 The 17th century Church of Saint-Fructueux is the main notable monument in Itxassou. 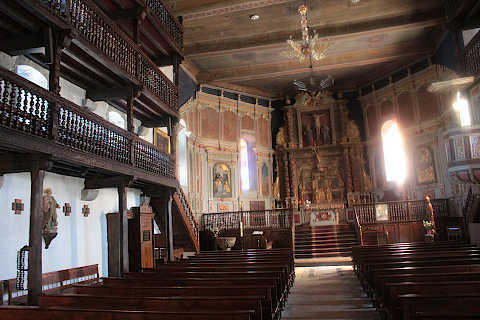 Although the exterior of the church is rather austere, the interior is very attractive, with three wooden galleries around the walls and lots of sculpted wood, which is typical of churches in the basque region. 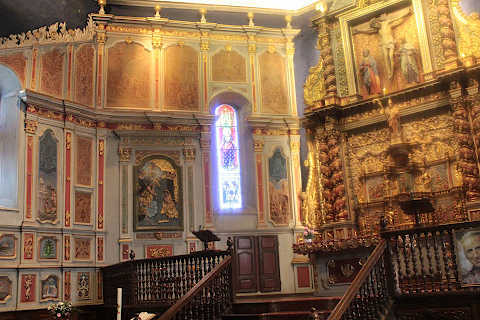 There is also an imposing altar in the baroque style that occupies the end wall of the church with lots of gilding and statues. Note: in the church you can pay a euro and the lights come on and you hear an explanation of the highlights. 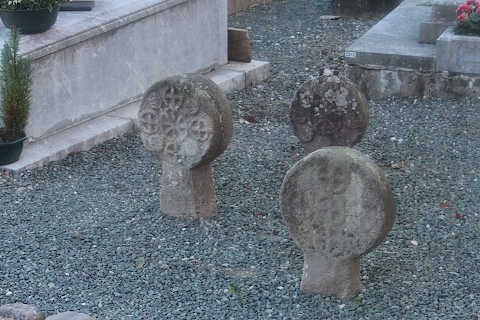 In the cemetery that surrounds the church you can see lots of ancient funeral stones as well as urther views to the hills around the village. 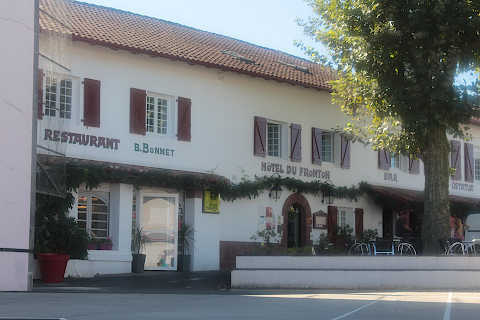 There are two Logis de France restaurants in the town, which was a nice surprise in such a small village. They are both hotels too but make sure you book in advance if you plan to stay here - even in mid-September both were fully booked when I visited. One is up in the top part of the town and the other is next to the church. 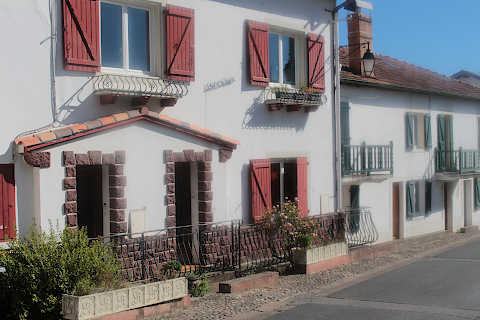 The town is well known locally for its cherries and if possible we suggest you visit in spring when the cherry trees are in blossom (typically the end of March). 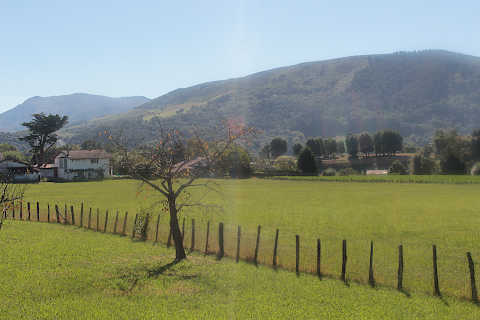 On the way out of Itxassou in a pretty setting above the Nive River you can see the Pas de Roland, a boulder with a hole in it reputedly made by the great knight Roland with his sword Durandal on his way to Roncevaux. 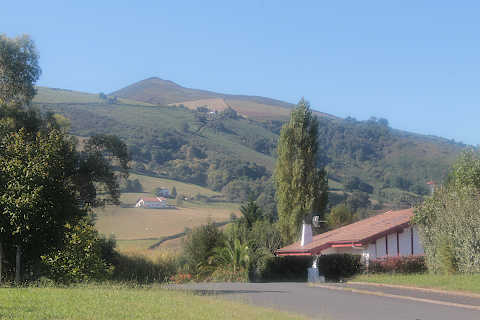 The view from the hill of Urzumu, a little to the west (with a small aerodrome), is also recommended. 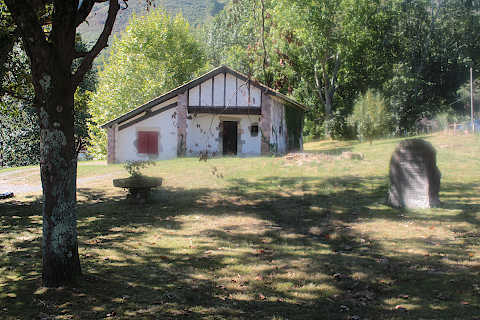 Hikers will find several trails to follow from the village, with those leading to Mondarrain and Artzamendi among the most popular. 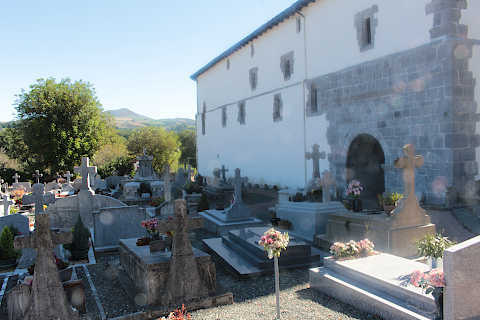 There are several other lovely basque villages to visit in the region around Itxassou, with Sare and Ainhoa both classified as 'beautiful villages' and the chilli growing town of Espelette is also very picturesque.